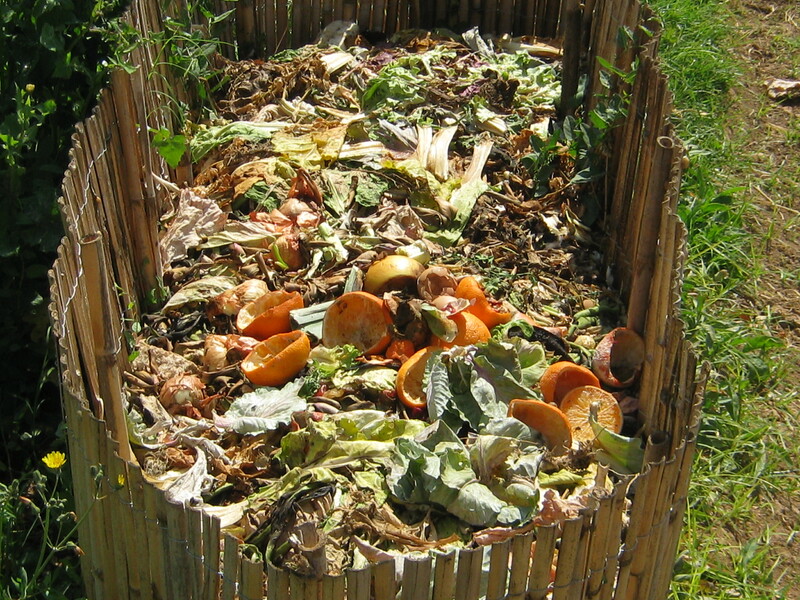 When I say composting, what’s the first word that comes to your mind? Is it soil? food? dirt? worms? It’s almost definitely not flies–but maybe that’ll change soon. Using the foundation I built in my first year at Bard’s Center of Environmental Policy through classes in food policy, systems, and science, I’ve began to spread my roots in New York City’s compost scene. 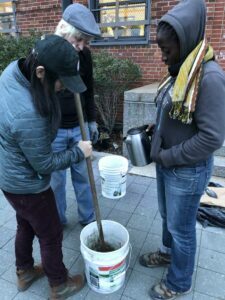 Separate from my time at New York’s Department of Sanitation, my Master Composter classes, and my thesis regarding food waste in NYC’s public schools, I’m involved in an external compost project. The twist? Using black soldier fly larvae (BSFL) instead of worms. Like worms, BSFL are decomposers that eat food waste and produce (a different) nutrient-rich waste. Their waste helps return nutrients to the soil. BSFL are uniquely good at doing so quickly and efficiently. Document EVERYTHING. This includes recording minutes at each meeting, taking photos, sharing educational resources, and checking in regularly about the successes and failures of each step. Great question. If, like me back in January, you’ve never heard of black soldier flies, and you aren’t squeamish, you should watch this video to get a visual on the unique and fascinating creatures. BSF are a type of fly quite different than the ones buzzing around your fruit bowl and hanging around your trash cans. On a daily basis, BSFL consume twice their body weight, and unlike worms, BSF eat all food scraps, including meat and dairy. We believe that people are more likely to start composting at home when there are fewer limitations of the types of food that can be used. The pace is also hugely beneficial, because food waste has less time to rot and produce odor when it’s being consumed so quickly. This isn’t to say that it’s a completely odorless process, but BSFL excrement doesn’t attract rodents and pests the same way your food scraps do without the help of a decomposer. 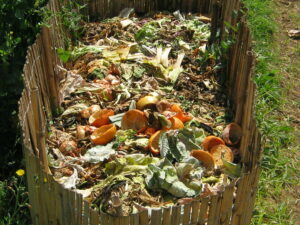 In addition to eating everything and doing it quickly, the BSFL life span also proves to be ideal for composting. When they hatch, they spend roughly two weeks in the larval stage eating everything they can. Next they spend about a week in the pupal stage, where they stop eating and mature into adults. As adults, their lives are only a few days, but they no longer have mouths, so they do not transfer diseases to humans. In the pupal stage they can be fed to chickens, fish, and other animals as feed. In our design, the pupae will never mature to adulthood. So far, we’ve constructed a small compost bin based loosely on this video. This bin will be ideal for single-family use, or other small operations that will have fewer food scraps than fit in a 5-gallon bin. A key difference in our project is that, as an NYC-based project, we have to be particularly cautious of rodents. To combat the possibility of rats chewing through our bin, we used metal hardware cloth and a thin layer of cement to line the inside of our bin. Next, using the cement, we added a ramp for the larvae to climb as they begin to transition to their pupal stage. The ramp is a consistent feature in BSFL bins as it enables and mimics the behavior of BSF in nature. The ramp leads to a PVC tube that sticks out of the bucket and to an empty gallon jug. The idea is that the larvae climb into the tube and to the jug, where they die and can be separated easily to become feed for other animals before maturing to adults. Our entire bin was constructed of materials and with tools that were reused, recycled, or borrowed. As we aren’t yet finished with the project, we haven’t promoted it too widely. 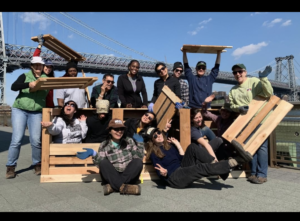 However, one of my team members has presented our work so far to my class of Master Composters to excite and inspire us to think outside the box of traditional composting. Last month, we also applied for a micro-grant to help us buy other used materials to construct the next two bins, which will be larger. In the coming months, we’ll produce two more bins and plenty of educational materials so others can replicate and modify our work accordingly. For me, a relatively new NYC composter, I am already grateful to the BSFL for helping me build a network of committed, innovative composters. Moving forward, we hope families, organizations, and gardens of different scales can adopt our designs to yield more nutrient-rich soil, but also inspire New Yorkers to connect with their waste in an exciting and meaningful way. 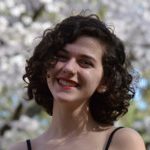 I'm currently a second-year student at Bard's Center for Environmental Policy. I am mostly interested in urban waste management and recycling. Last year I studied food systems and organic waste, inspiring me to explore job opportunities concerning the management of urban food waste. After an exciting internship at NYC's Department of Sanitation, I have started writing my capstone on NYC's goal of sending zero waste to landfills by 2030.